Strange things have been seen on the Pontcysyllte Aqueduct. There have been sightings of Dragons breathing fire and flying through the night. 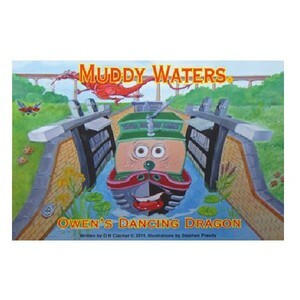 Many boats are too scared to cross the 200 year old waterway, but Muddy Waters and his friends are determined to investigate. Owen and Hamish cross swords in this mysterious Celtic adventure. 32 page paperback.